With people going away on spring vacations and summer around the corner, all I can think about is a sun kissed bod. I know The Walking Dead has become a popular series but I would rather not look like a zombie, plus I just feel better about myself when I have some color. And, having a tan gets me excited thinking about slipping into one of my many bikinis (I may have a slight obsession) and basking in the warm sun while sipping on a flavored infused water. 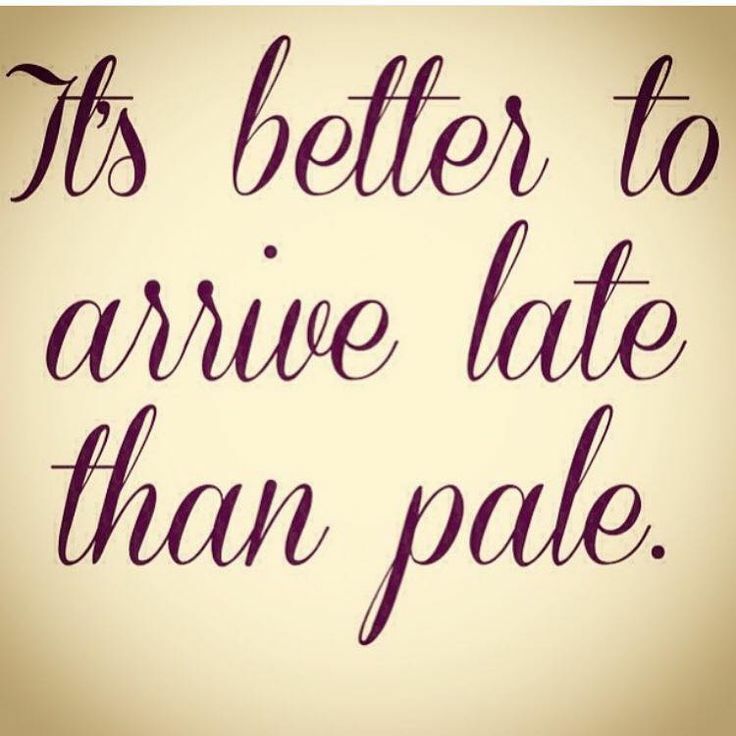 I am no amateur when it comes to tanning, but, now that I am older, keeping my skin youthful and healthy is a priority. I am much more conscious about protecting my skin and SPF has become my best friend. Fortunately there is an alternative to spending time in a tanning bed for 20 mins. Sunless tanning is quite popular and there are many options to achieve a sunless tan, like lotions, tinted moisturizers, sunless tanning booths and airbrush tanning. All of these options can help you achieve a bronzed glow, but I find that airbrush tanning is the most effective. 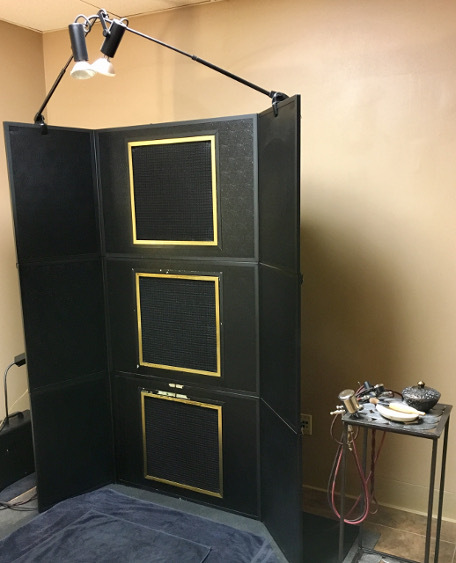 The secret is finding a place that does it well with a technician that knows what they’re doing. My personal favorite where I live here in Horseheads, NY is Nancy from AgeLess SPA. You can’t beat her technique! If you’re too far away for her, ask around, I’m sure you can find someone who knows what they’re doing in your area. At AgeLess SPA there are many color options from the darkest to the lightest. They use Scentual Sun products which are 100% organic, water and aloe based and contain no harsh solvents or VOC’s to aid in skin penetration. They use only the finest ingredients and their solutions contain the maximum concentration of DHA recommended by top cosmetic formulators. All of their products are globally approved formulations which means that they include no ingredient deemed harmful by any other country including the US. 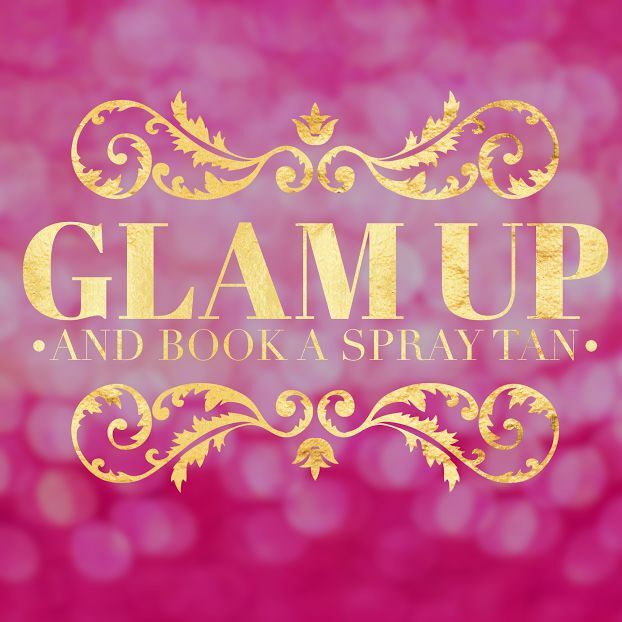 Once you’ve decided to get your spray tan, there are many things you can do before and after to extend the life of your tan according to AgeLess SPA. Exfoliate your body. Dry, rough patches of skin tend to attract and hold more color than skin which is smooth and soft. Failing to exfoliate before spray tanning can result, in blotchy patches of dye on your elbows, knees, and other rough areas. Shave unwanted hair. Body hair will not impair the ability of the spray tan to stick to your skin, however shaving soon after your spray tan often results in the color flaking off from your skin. Refrain from using lotions, creams, deodorant, or other personal hygiene items until after having the spray tan done as these products often block the spray tan from sticking to your skin, resulting in blotchy coloration. Wear loose fit clothing to your session. This will help prevent the solution from rubbing off onto your clothing once you leave. Also consider bringing clothing which is black or another dark color, or which you don’t mind becoming discolored. 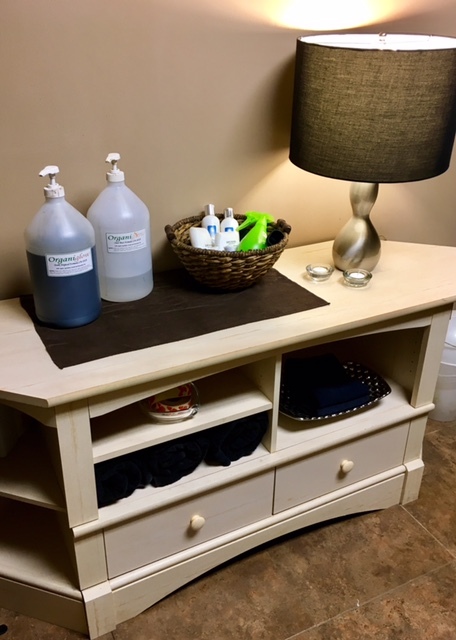 AgeLess SPA’s clean and professional Airbrush Tanning preparation station. AgeLess SPA’s Airbrush Tanning Application Booth, with overspray collecting filters for your comfort & convenience. 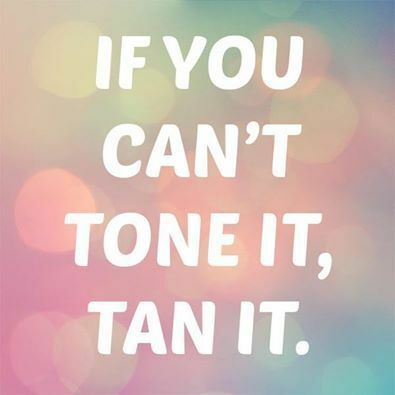 Do not shower or sweat excessively for the next 6-8 hours (overnight if possible) after your tan. This allows your tan to fully develop its color. Do not use hand sanitizer to wash your hands during developing time. Avoid using moisturizers and applying deodorant during developing time. Wearing socks or closed shoes can cause your tan to develop unevenly on your feet, so it’s important to avoid wearing either for at least the first 6 hours of your tan. Avoid wearing tight clothing for at least the first 6 hours of your tan, tight clothing could render your tan splotchy. After 6-8 hours, shower normally. Don’t use exfoliates or abrasives. Do not shave for the first 12 hours after your spray and first shower, if you MUST they recommend you use a fresh razor. Apply a moisturizer or body butter to shower damp skin. (If you like, you can use a tan extender lotion; I recommend bareMinerals® Faux Tan sunless tanner or Image Skincare Body Spa Face and Body Bronzer, then hydrate your skin again before bed with a moisturizer of your choice. Avoid exfoliating your skin. Some products can cause faster fading – bar soaps, alcohol based products such as toners and astringents. Avoid long/hot baths and showers, hot temperatures open your pores and will release the tan more quickly. Although you might want to, try to avoid hot tubs, swimming pools, and even extended time in the ocean, as these will shorten the life of your tan. 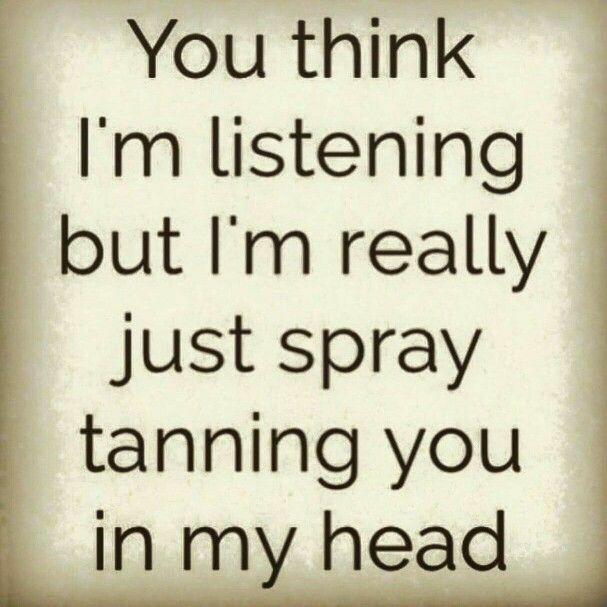 You’ll be a bronzed babe much longer if you follow these rules to ensure the longevity of your spray tan. Also, prom is right around the corner, so make sure you make your appointment as soon as possible. 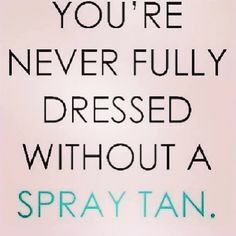 Use promo code SHINE10 for 10% your next spray tan at AgeLess SPA!